From London St Pancras and Ashford International stations, passengers benefit from a stress-free journey, comfortable and spacious surroundings, as well as a generous baggage allowance of two suitcases plus hand luggage, and skis or snowboards at no extra cost. Friday overnight: Make the most of every minute on the slopes by arriving on a Saturday morning ready for a day on the snow. Saturday daytime: Sit back and enjoy the journey, with a relaxing start to a holiday as the countryside passes by. Saturday overnight: Providing more capacity during peak weeks. Combine it with a Friday overnight service to squeeze in an extra two days of quiet pistes. 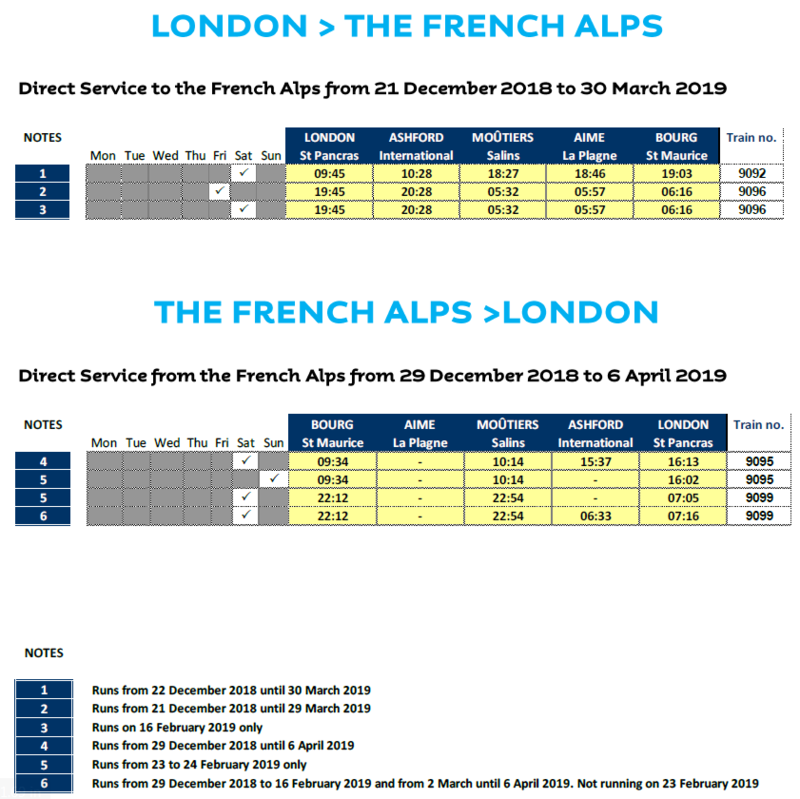 The 2018/19 seasonal ski services will run weekly from 21 December 2018 until 6 April 2019, with fares from £75 each way. This ski season, Eurostar has partnered with Maeva to offer travellers a curated range of chalets and rentals across the resorts of Moûtiers, Aime-la-Plagne, Bourg-St-Maurice, Val Thorens, Val d'Isère, Courchevel, Tignes, Méribel and Les Menuires. To save skiers from searching for the perfect place to stay, the selection of properties are all safety vetted, well-equipped and close to the pistes. Eurostar travel, accommodation, lessons, lift passes and equipment can be booked together through holiday-rentals.maeva.com from 21st July.